An important component of the study tour is connecting with other universities to learn more about the institution and students themselves. 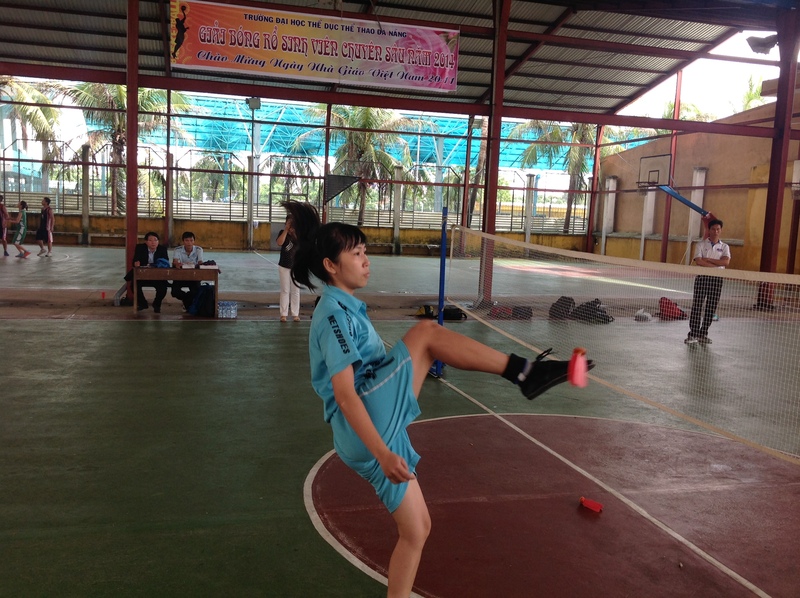 Our visit to the Danang University of Physical Education and Sport (DUPES) gave students the opportunity to see an international sport specific university. 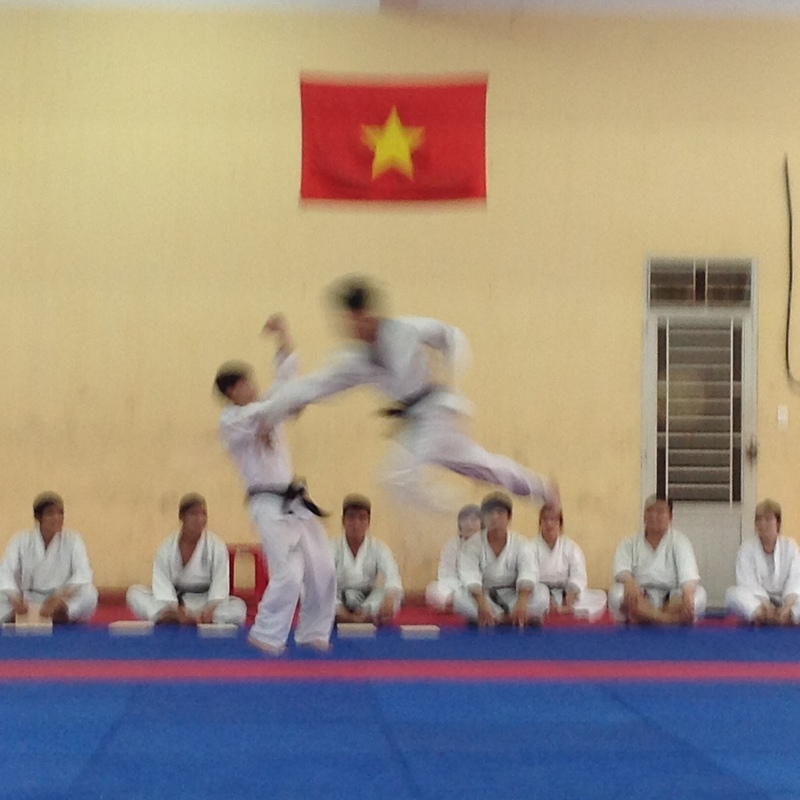 We were welcomed by dignitaries at the DUPES and then treated to a martial arts demonstration by students from DUPES and the only thing to say is very impressive. 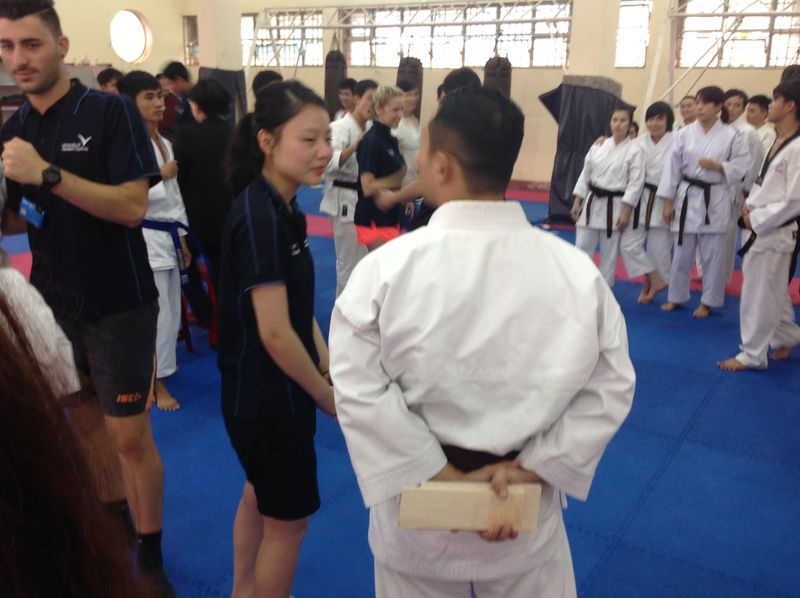 It was also great to see the interaction between the students once the demonstration had finished. Then it was time for our vehicle for visiting the university – delivering an AFL clinic. Poor weather forced us undercover in the shelter of two basketball courts and we were given another demonstration, this time shuttlecock. Then it was time for AFL. 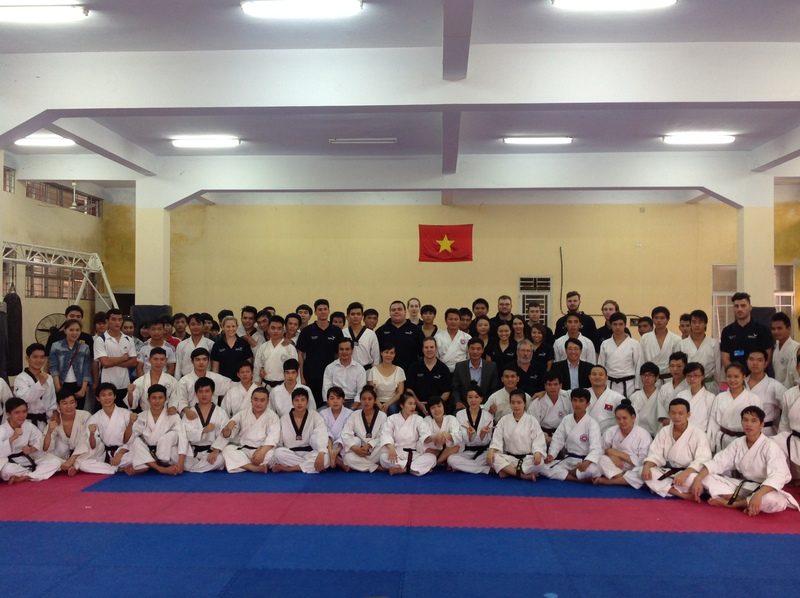 Jason, David and Stewart took a group each and put the students through some skills based sessions. Some great modification and thinking on the fly with students trying to kick the ball into a basketball hoop. After going through the skills sessions it was UWS vs DUPES in a game of hand pass footy and have to say the DUPES students picked it up really quickly.